When the occasion calls for something more than the ordinary, select something EXTRAordinary. 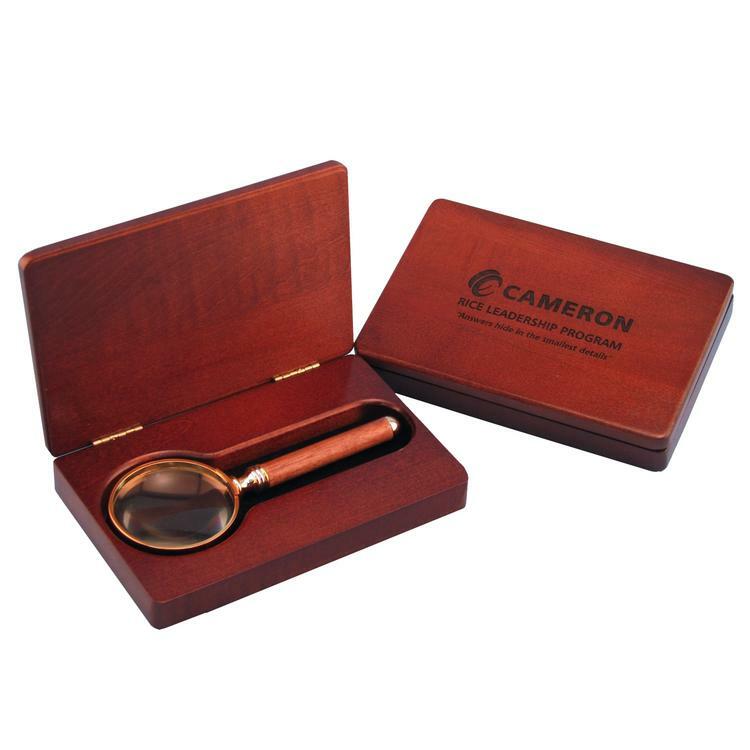 A low distortion magnifier is securely protected in the solid wood box. The handle can be laser engraved with individual names. Enlarge your presence with this useful gift. 5 3/4" x 3 3/4" x 1"
Price includes a one position laser engraving, padded velvet foam, magnifier and gift box. Laser Area: 3" x 1 1/2" (box lid), 2" x 1/4" (magnifier handle).